Bombay Decorators & Contractors, Mumbai began its illustrious journey to the top with wedding decoration, set making & event management. It started about forty years ago under the able guidance of Mr. Gopal Gurbaxani. Ever since then the company has crossed many a milestone in the highly competitive world of wedding decoration, event management & making sets for films. It wasn’t long before Bombay decorators & Contractors became the top service provider in the world of high profile celebrations. 103, First Floor, Bldg # A-3, Lok Nirman, Ambedkar Road, Khar (W), Mumbai 400052. 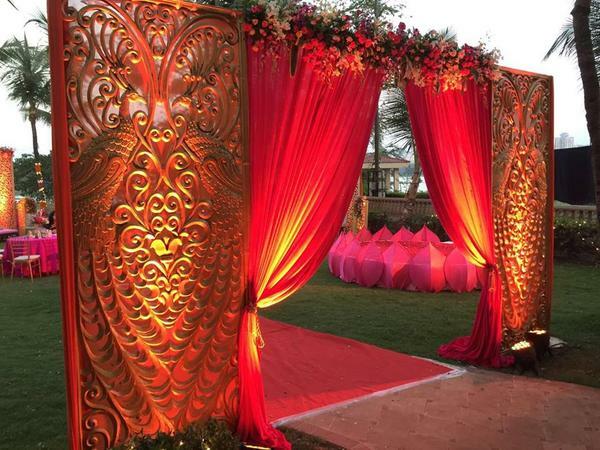 Bombay Decorators & Contractors is a wedding decorator based out of Khar, Mumbai . Bombay Decorators & Contractors's telephone number is 76-66-77-88-99, address is 103, First Floor, Bldg # A-3, Lok Nirman, Ambedkar Road, Khar (W), Mumbai 400052.. In terms of pricing Bombay Decorators & Contractors offers various packages starting at Rs 150000/-. There are 0 albums here at Weddingz -- suggest you have a look. Call weddingz.in to book Bombay Decorators & Contractors at guaranteed prices and with peace of mind.